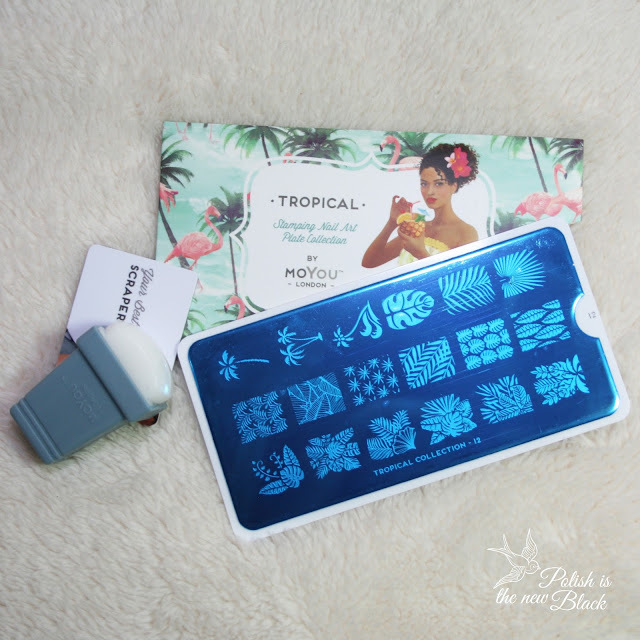 So as promised in my last post I created a couple of designs to test out the MoYou London Tropical 12 plate which I received in the July Nailbox. You can read about my review of the box HERE. As you can see its a very summer appropriate plate with a lovely tropical/beach theme to it. The plate consists of 18 images which are perfectly etched and stamp beautifully. This is one of MoYou's smaller design plates; they created an XL range which have 12 larger images on a plate. All of the plates I currently own are the XL designs since I've always been worried these smaller images wouldn't fit my nails. I was partially right to be skeptical since the images don't fit all of my nails (my index finger and thumb) but the images were ok for my other nails. I don't mind too much as I can use the designs for accent nails or certain images such as the palm trees fit those nails. July's Nailbox also contained this stamper/scraper set. As I said in my review the stamper was very squishy and much stickier than my other stampers. I was happy to find it stamped beautifully straight away with no priming! Cosmetic sponges £1 from Pound World. Pink triangle stud $3.50 (pack of 120) from Daily Charme. Zap liquid latex skin protector £3-6 from Rainbow Connection. *all from the July Nailbox. I really like the gradient stamping; I cant say I like the design as a whole (I'm not keen on the gradient on my index finger and thumb) but I like the other nails. Here I have used ordinary polish to stamp with. Clearly it hasn't fully picked up all the detail but I was really impressed with how well they stamped. In order to achieve this design I started with a white base on all my nails. For my pointer, middle and pinkie nails I then stamped over using the pink and purple polishes (This just involved placing half pink and half purple polish over the desired image). For the index finger and thumb, I painted stripes of the same polishes onto the sponge and then dabbed over my nail moving up and down to give a gradient effect. Here I created a gradient base with simple stamping over the top. Same as above minus the trianglestuds. I think this is my favourite of the two designs. I like how the gradient turned out in this mani (although it isn't perfect - my 3rd ever try, I like it). Again for this design I started off with a white base. I then sponged the gradient over all the nails and added topcoat to fully dry them. I then stamped over the top of the gradient and sealed with top coat. Again this is only an ordinary polish I have stamped with and I'm really impressed with how well it actually stamped. So that's the two designs using all items from July's box! 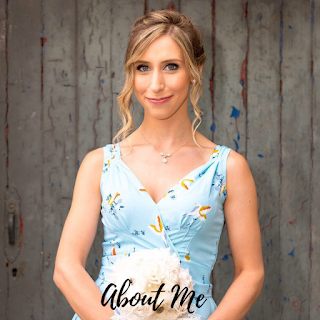 I really love this plate it is so versatile; you can see here different designs that can be made and I have only used a small selection of the images. What do you guys think of these designs? 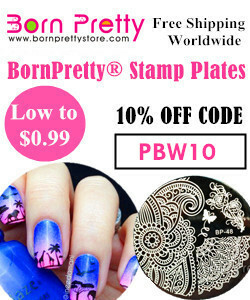 Have you tried stamping before? 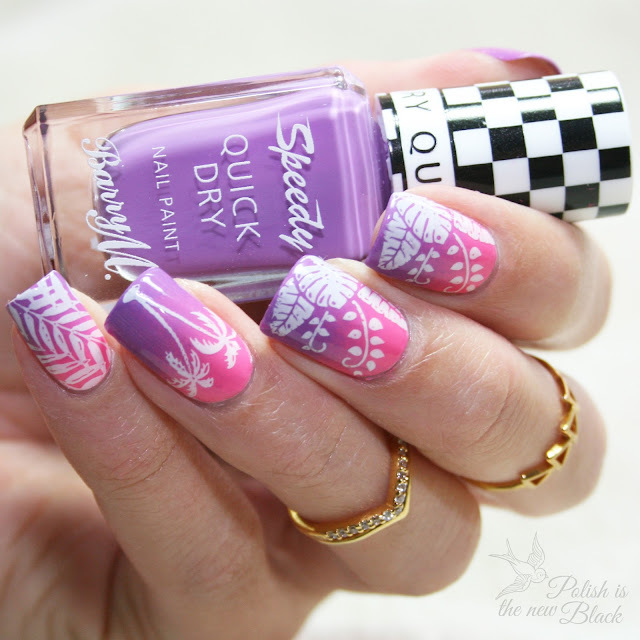 These stamps are so gorgeous and perfect for Summer, I love the shade of purple included, stunning!